Showpad is a sales enablement platform that allows sales teams to access the most effective marketing content to drive their customer engagement activities. With content curated by a business’ marketing team, it features an Artificial Intelligence (AI) solution that enables sales professionals to easily find up-to-date brand information and share visually engaging content to their clients. In this article, we cover user reviews and pricing. Ready to try Showpad? Request a demo. Users who gave Showpad a positive review like its centralized content library, analytic tools, and user-friendly interface. Several others mentioned that the software’s client configuration and set up are very easy. One user who left a positive review of Showpad on Capterra said that his work has become easier given the software’s repository of marketing content and documents. He shared that he enjoys preparing client presentations using the platform’s content library and search function. Users who gave Showpad a negative review said that they sometimes experience glitches when using the software’s Outlook plugin. Several others mentioned that the software should be further enhanced to add more features, such as language management for users with international clients and more integration options with CRM and other software. One user who left a negative review of Showpad on Capterra described its Outlook plugin as a “terrible” tool, explaining that the system crashes whenever he sends several emails. Despite finding a workaround that requires closing and reopening Outlook after sending one or two emails, he stated that it is a serious systemic flaw that wastes a lot of his time. Showpad offers three paid subscription plans: Essential, Plus, and Ultimate. They don’t publish their pricing on their website, but according to a third-party site, it starts at $25/user/month, while another third-party site claims it starts at $35/user/month. 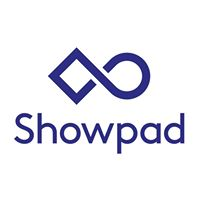 Interested users may request for pricing information by contacting Showpad’s sales team. Ready to try out Showpad? Request for a demo. How can Showpad’s AI-driven content search functionality help sales teams prepare for client meetings? Showpad’s machine learning platform helps lessen the time that sales professionals need to search for relevant content to present to their clients. With its AI-driven search function, users are provided with a list of content recommendations for each sales situation based on marketing rules and other factors, such as product, industry, and geography. Can users access Showpad on a mobile device? Yes. Users can access their Showpad content online and offline on any iOS and Android mobile device. Not sure if Showpad is the right fit for you? 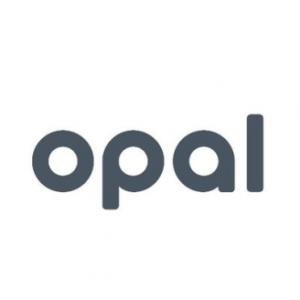 Read our reviews of all top content marketing software providers or check out one of these three Showpad competitors. Showpad enables you to show great content in a simple, pleasant way to the customer and send personalized content packages to the customer. Afterwards you can track what your customer is doing with the content. Creating a product that is easy to use, both from an admin side and from a user side. Showpad has a great customer success team that will guide you every step of the way. Sales enablement is the third pilar of a successful sales team, next to a great crm (that gives you a 360° view on the customer) a great marketing automation tool, you need a sales enablement solution. And showpad is the best ! Localization can still improve, ie linking different versions of a same file depending on the language or region, which is especially important in a multi-lingual international context, at the moment, you have no possibility to indicate in how many languages a file is available. This needs to be addressed asap! Why did I not discover this program sooner? No seriously, make sure you have a content management plan. Showpad without content is useless. If you don’t have such a strategy, start small, in a agile way to implement new content. Also, Start with power-users that can become evangelists of your product. Personally, I really like the admin and user experience. On an admin side, it’s easy to manage content, administrate users permissions and report on user usage. On a user experience, there is huge value in the insights functionality and the ability to send multiple large collections to a recipients email without worrying about user mailbox limitations. Pricing is getting higher and higher with minimal functionality added for those on the Essential plan. Showpad is an amazing tool! This platform is easy to customize to fit your needs and so simple to use. This dynamic tool enables a business to have the most up to date information available at your finger tips. This tool also provides fantastic reporting where it allows you to track users and how content is used. This way you are able to see what content is more relevant than others, or if everyone has viewed important information. The support that they also provide is also excellent. Response time is really good as well. There are a few things from a back end user that I wish I could have. E.g. Recently we had a Channel that was accidentally deleted. There was no back up – so it had to be re-created. A huge inconvenience. So I suggest have a back up Channel and hide it. I am happy with the service and application they provide so nothing. Helpful with anything you mention. The idea’s that you have, make it easier etc. You can trace your files. You can upload it when you want. I like this software very much. I don’t know. it’s a nice platform. You can manage a lot with it. We specialize in helping clients purchase energy using solar power. We represent the most efficient solar panels in the industry. We internally communicate poorly within certain divisions and are working on solutions. Not sure how to answer this one. I know that using Showpad has streamlined how I can communicate with my clients. It allows me to be more reactive during the times where the client is engaged in the material. In my industry you have to act while the client is active, or there is potential to loose interest.